One more in our "easy plant" series here, for hot summers, it is difficult to beat Colocasia, more commonly referred to as Elephant Ears. 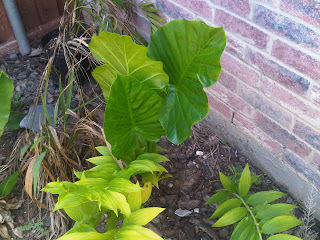 We have had several varieties of Elephant Ears year after year, and I love the lush tropical image they give. Pictured here is an interesting variety, called "Upright" because the leaves point up instead of down. 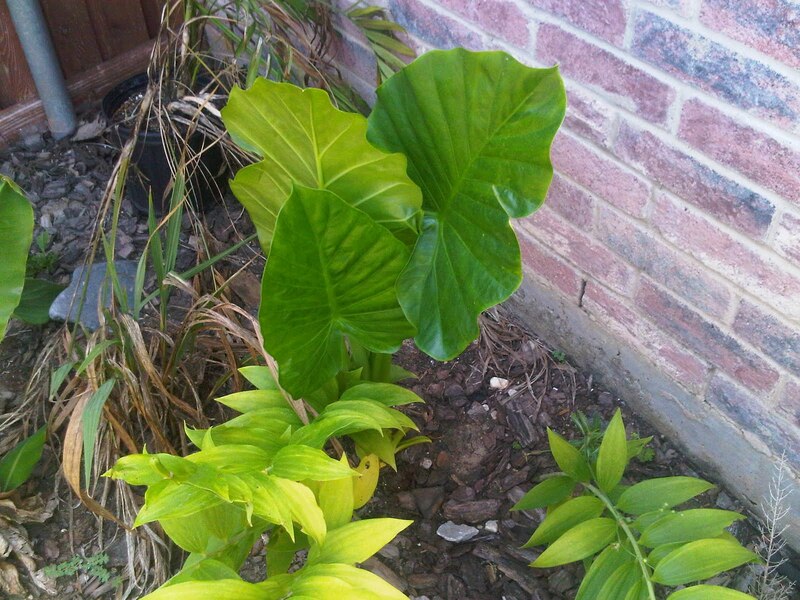 Also in our garden we have "regular" elephant ears, though at 3 years old, they need to be replaced since they did not do well after this year's winter, as well as "Black Magic" with purple foliage and another one this year called "Kona Coffee" which has brownish stems and green leaves. Super easy - grab some bulbs in April and get them in the ground in May or so.